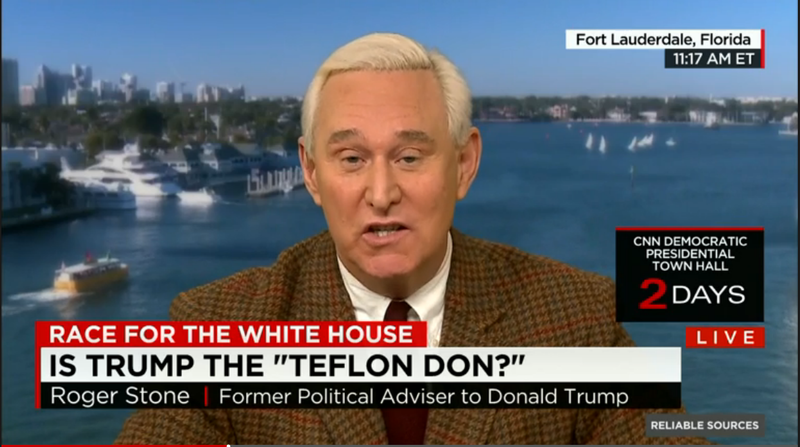 In an interview with Newsmax TV, former Donald Trump surrogate Roger Stone said that he wanted back on CNN in order to defend himself from attacks made by Ted Cruz. Stone was banned from CNN’s air in February after a series of incendiary remarks about CNN’s on-air commentators; and just last week, the network was praised for banning him.
.@brianstelter is it journalistically ethical of CNN to allow @TedCruz to attack me and afford me no opportunity to respond?